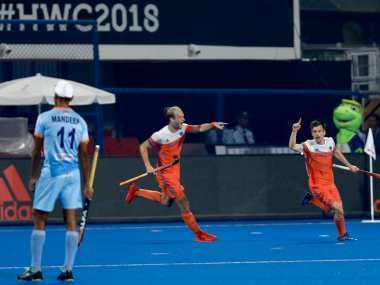 Bhubaneswar: India let history slip out of its hands with a heartbreaking quarter-final defeat against the Netherlands in the men's hockey World Cup, a result which left the young players of the team crying on the pitch. 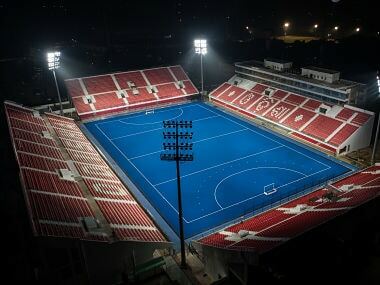 A well-oiled Indian unit had raised the hopes of making the semifinals for the first time since 1975 but the Dutch side broke a million hearts by coming from behind to knock out the hosts 2-1 in the last-eight clash. The defeat ended India's long cherished dream of lifting the trophy only for the second time after its lone triumph in 1975 at Kuala Lumpur. It was a momentous occasion for India to rewrite history books after 43 years as they had never qualified for the semi-finals of the World Cup after 1975. But at the stroke of the first quarter, Netherlands drew level when Brinkman got the faintest of deflection to beat Indian custodian PR Sreejesh from a long ball from outside the cirle. The hosts failed to get the equaliser as the packed stadium backed the Men in Blue till the very last second only to return home disappointed. Netherlands will take on two-time defending champion Australia while Belgium will take on England on Saturday.